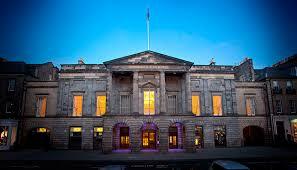 The Assembly Rooms on George Street is one of the Fringe’s finest venues, its architecture creating an opulent backdrop for an eclectic range of shows. This year’s offerings are many and varied; I’ll wager there’s something here for everyone. The selection we were offered last night barely scratched the surface, but still encompassed no less than seven genres of music – from comic ditties to classic crooning. There was theatre too, and comedy: it was a promising introduction to the latest festival. There were too many acts to name them all, and we only saw a small sample of what they do (although we’ll definitely be back to find out more). Standouts, though, included The Missing Hancocks, a recreation of four Hancock’s Half Hour radio scripts that have not been heard since the 1950s. Kevin McNally’s Hancock is delightfully accurate, with all the lugubrious charm of the man himself, and Robin Sebastian does a cracking Kenneth Williams. The scripts are funny in themselves, but they are performed here with vim and gusto and enough ‘new’ character to make them worthwhile in their own right (The Music Hall, 4.15pm – alternating daily between Show A and Show B). Canadian Tom Stade’s stand-up was another highlight. He lives in Scotland now, and spent most of this short set ruminating on the cultural oddities his relocation has thrown up. His laconic style is utterly engaging, and this brief offering augers well for the full-length show (The Ballroom, 9.40pm – nightly). We also enjoyed Christine Bovill’s Piaf, a delightful homage to a woman Bovill clearly adores. The songs are sung with warmth as well as precision, and Bovill is an engaging raconteur too, explaining both what the songs mean to her – and what they meant to Piaf herself. This is undoubtedly one to watch (The Spiegeltent, 7.20pm, various dates). 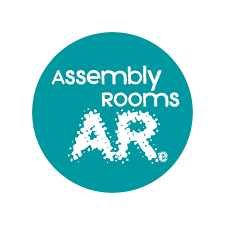 This was a strong start to this year’s Fringe at the Assembly Rooms – and, here at Bouquets and Brickbats, we are very excited about the next three weeks.